Daley Blind has gone on to explain why former club skipper Wayne Rooney went on to leave Manchester United for Everton this summer. Rooney was a legendary figure at United, after spending 13 years with the club and winning every laurel possible. The ex-England international became an option from the bench last season under Jose Mourinho, as he went on to suffer an injury-prone term. The decorated forward’s mixed form made the Portuguese use him scarcely, and according to Daley Blind, the record goal-scorer for United wanted to feature more frequently, rather than playing a limited role. And with his boyhood club Everton coming in for him, it was an obvious choice, as he is still a world-class player. Everton travel to Old Trafford this weekend in a crucial Premier League encounter, and Rooney is expected to lead the line for the Toffees. He has played an important role for Everton since his move, and Blind has acknowledged the fact that Wazza is living up to his billing in Merseyside. “You can see he is very important already. He is there working hard like he always did for us – giving assists and making goals and that is what he is capable of,” said the Dutchman. United top the table after four matches this season, and sit above rivals Manchester City on goal-difference. 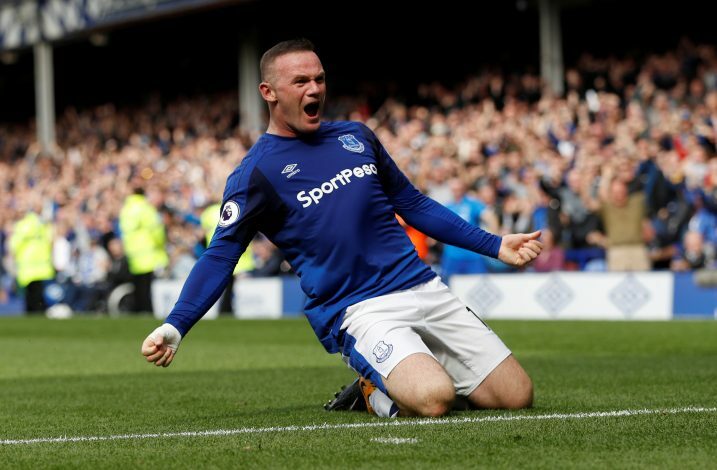 Everton, meanwhile, have suffered back-to-back defeats against Chelsea and Tottenham Hotspur, and are hoping to do well at Old Trafford, with Rooney being back at his familiar place.